Check out this hearty, spring salad made specially for this week’s farm share by Megan, the owner of Macon Creek Malt. The wheat berries are from her! Fun Fact: people confuse me and Megan all of the time. Can you tell who is who? Soak 1 Cup of whole wheat berries in 3 cups water in fridge overnight. Drain. Cook soaked wheat berries in 3 fresh cups water and 1 tsp salt for 35-40 minutes. Bring water to boil, then lower temperature to simmer. Combine 1 tsp salt, 1.2 tsp pepper, garlic, red onion, lemon juice, a balsamic vinegar. Set aside for 15 minutes. Combine spinach, radishes, pea shoots and other toppings as desired. Toss wheat berries, dressing and salad. The sun is finally shining! Our tomato seedlings are getting big and I’m feeling plumb tuckered out by the time I get home. Must mean spring is here! 2. There will be no Farmers Market until further notice. Unfortunately, I haven’t found a way to clone myself, so until we are able to hire someone to replace Lauren, I will need to be working on the Farm Share on Wednesdays. I apologize! 3. Please join us in supporting the Best Buddies Friendship Walk on April 13th. This group works to end social isolation for people with disabilities. Learn more here. 4. The Farm is being recognized as a 2019 Harkin Wellness Designee. Learn more about this program here. I will be in Iowa tomorrow to accept the award. 5. Check out this great article in Health Progress: “How the Farm at St. Joe’s Transforms Its Health System” by Rob Casalou. It doesn’t feel like spring, but the days are getting longer and we’re planting our first seeds of the year. So you better believe that warmer, sunnier days are right around the corner. 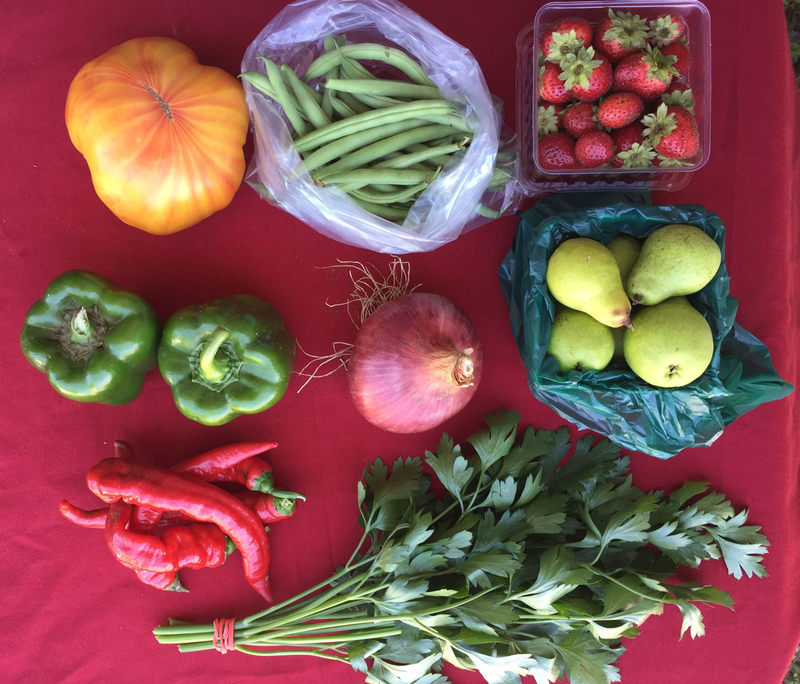 It’s time to sign up for the 2019 Farm Share (CSA). Learn more here. There will be no Farmers Market March 6 or 13. We’re welcoming spring with open arms! We’re sorry to say that the icy conditions today mean that we can’t harvest for market tomorrow! We miss all of you! If you’re already thinking about the bounty of Spring, register for the Farm Share (CSA). It’s brutally cold outside, but we’re already planning for summer. Come to the first Wellness Wednesday of 2019 and learn more about our Farm Share (used to be CSA); Summer Camp programs; and other ways to engage with the Farm. When: Wednesday Jan 30th from 11-1. What: We will have snacks, hands-on activities, AND the first 50 people will receive a free reusable bag with veggies inside! !